In a Nutshell: More than 92% of consumers read online product or service reviews, and 40% of that group forms opinions on a brand after reading three or fewer reviews. Today’s digital age makes consumer opinions more important than any other marketing effort, which is why a buildup of negative experiences can drive new customers away from a brand forever. Trustpilot currently hosts more than 40 million reviews on over 210,000 global companies, that can claim their profile page on the platform and collect and respond to reviews for free. Three other paid tiers of membership give a greater level of analytics and interactivity with customers that has been shown to increase conversions and help brands retain unhappy customers. Less than a decade ago, when a consumer was in search of a new doctor, bank, or the best brand of laundry detergent, they’d ask family or friends for recommendations. If that didn’t work, they’d think of the most appealing commercial on television and act on it. In today’s digital age, companies can no longer rely on family referrals to get their point across. Readily available technologies block online ads and television commercials, making life easier for consumers and harder for brands. Before making a big decision, most consumers now turn to internet reviews to help them decide a course of action — and they take very little time to make up their mind. Around 92% of consumers read online reviews — up from 88% in 2014. Of that group, 40% form a brand opinion after reading three or fewer reviews. That quick-trigger reaction means financial service providers must rely on customer opinions to attract new members to their business or risk losing them forever. In less than 11 years, Trustpilot has grown into an immense database of more than 40 million consumer-generated reviews of over 210,000 global companies. Those reviews are put into Trustpilot’s algorithm that calculates the number of reviews, as well as the age of each review and other factors to compile a TrustScore. Trustpilot’s ears are all over the world. The company has offices in Denver, New York, London, Copenhagen, Vilnius (Lithuania), Berlin, and Melbourne that work with clients to manage and respond to reviews. For financial service firms, staying on top of negative reviews can eliminate potential problems before they grow. 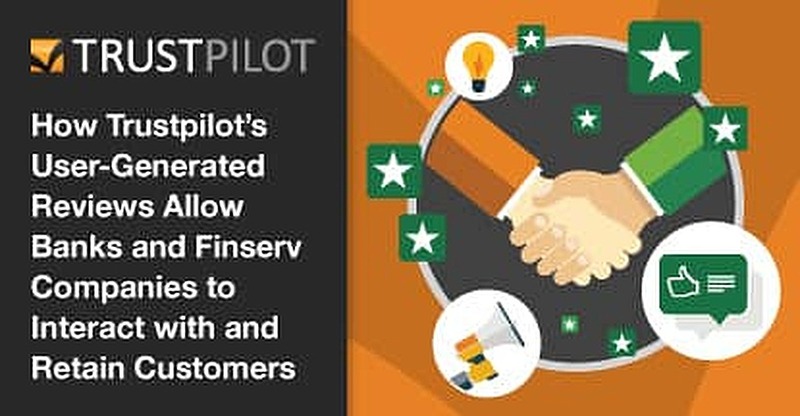 One way Trustpilot allows Finserv companies to build a positive review database is by providing business-generated link products that allow companies to send invitations to existing customers asking for reviews of their products and services. This particular method offers an added layer of encryption security for financial institutions. Many companies assume that consumers are more likely to leave a negative rather than a positive online review and fail to react to the feedback. Pardes said that assumption only hurts a brand’s image with consumers. Businesses can proactively collect reviews by claiming their company’s profile page on Trustpilot for free. After a page is claimed, the firm can collect and respond to reviews and interact with customers, something Pardes said makes the company 80% more likely to retain a customer and bring them back for another experience. Customers appreciate a company that interacts with clients and is open to suggestions and critiques. Pardes said when companies respond to reviews, the average review score tends to rise, leading to higher TrustScores and new client attainment. “It shows who you are as a company, how you deal with customer service issues, and what kind of brand you are,” he said. Trustpilot is also a Google review partner, which means the reviews Trustpilot hosts are aggregated by the search engine and integrated into search results. The reviews are also one of the factors in Google’s star rating and seller ratings. Companies that collect 150 reviews with an average rating of 3.5 stars are eligible for a Google seller rating. “On average and per Google’s data, ads with Google Seller Ratings see a 10% uplift in click-through rate compared to the same ads without those ratings,” Pardes said. Aside from claiming a company profile, many brands create a partnership with Trustpilot that allows them to collect, analyze, and respond to reviews. Membership comes in four tiers and includes scalable solutions for marketing teams looking to promote their brand. Major Finserv companies, including Quicken Loans, SoFi, LendingTree, Western Union, and Credible, currently use their partnership with Trustpilot to drive better reviews and increase interactivity with customers. This basic starter package allows companies to collect and respond to reviews. A TrustBox widget is included so companies can post their TrustScore on their website. The package also allows 100 review invitations to be sent each month. For $299 per month, firms can send 300 review invitations and receive a TrustBox optimizer that includes added capabilities for displaying a TrustScore, and several added benefits not available to free members. Pardes said that TrustBoxes across the Trustpilot platform receive billions of impressions each month. “Everyone sees our TrustBoxes and a lot of companies want to integrate them into their website,” he said. For $549 each month, companies can collect, respond, analyze, and showcase reviews with integration into marketing stacks for sales and marketing teams. Customized review invitations can be sent to 1,000 customers each month. Full integration is included into popular programs like Hootsuite and Zendesk to review responses. Pardes said the package is designed for companies with solid marketing functions that want to do unique things with reviews. This contract package is fully customized from top to bottom, as is the customer quoted price. Clients work directly with Trustpilot’s customer success team to create custom solutions for the brand. “Those solutions can get way, way granular depending on the customer’s needs,” Pardes said. The package includes everything available in other packages, plus business generated links, an embedded review form, and the Trustpilot API that gives companies great flexibility in how they manage and collect reviews. Financial institutions are among the companies most sensitive to bad reviews. A stain on a brand name can last forever and sabotage the adoption of new and future products. Trustpilot’s goal is to work alongside companies to help them find ways to remove negative impressions and build on positive momentum. 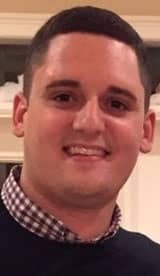 Zachary Pardes is the Head of Media and Communications at Trustpilot. More than 40 million reviews have already been submitted for over 210,000 companies on Trustpilot’s platform. That number grows by the minute as consumers compose new feedback on their experiences with a brand. What a company does with those reviews can make or break its future business. In today’s consumer marketplace, a Finserv company’s message is crafted by consumers more than a marketing team. Potential customers look to see what is being said on the internet before checking out commercials or marketing materials. A firm that interacts with consumers online to learn more about their experiences is likely to retain that customer. With the growing dependence of positive reviews to grow sales and customer bases, it’s more important than ever that companies listen to the public. In less than 11 years, Trustpilot has grown its database of customer reviews to become one of the first destinations consumers go to before making a financial decision.